For those of you who read this blog regularly, this post will probably seem a little off-topic. I don't usually get into the networking/marketing side of things very much. That's primarily because it's not my favorite side of the writer's coin, but also because I know I haven't figured it out anywhere near enough to be giving sagely advice on the subject. I have accounts on most of the popular social networking sites, but I probably don't give most of them the love they require. I use twitter pretty frequently, but Goodreads and Google+ get only the occasional visit to catch up. I've only just started using Pinterest, and to be honest, I'm not even sure I'm doing it right. Facebook gets the least amount of attention, as I generally don't enjoy using it. But the purpose of this entry isn't to clue you into my social networking report card. Instead, I'd like to talk about some of the glaring mistakes that I see writers making on social networks (including myself), and the effects those mistakes have on potential readers. In fact, that's the voice I'm using today. Not my writer voice, but my reader voice, because that's what I am at the end of the day. I read an insane amount of books and stories. I'm such an avid reader that if I enjoy one book by an author, I'll go out and find every other book they've released. My "to read" list is a perpetual mile long, and that's just the way I like it. I've made it one of my personal missions to do everything I can to support the written word. And that's why it bothers me so much when I see an author misusing social networks. These online platforms put so much potential at our fingertips, but you don't have to look far to see a litany of writers treating them like the ads section in a newspaper. I've been guilty of it myself, especially on those sites that I don't enjoy using as much, but I've done a lot of thinking about that lately, and I'm ready to change my ways. Since Twitter is the social networking platform I use the most, I'm going to talk mostly about my experience there. When I first started using the service, my instincts were to follow as many fellow writers as I could, to support the community and connect with people like myself. I also followed back any writer who followed me. As this went on, my own follower count rose, which I thought (as most do) was a good thing. After all, the more people that followed me, the more would be paying attention to my thoughts and links, right? Wrong. The problem was that a large portion of those people were only on Twitter to promote themselves. You know the type of tweeter I'm talking about. If you look at their stream, all you see are links to their books, their blog, or their website. No conversation, no contributions to the community, just plug after plug after plug. Some of them might try to be more clever about it, retweeting like a madman in hopes the favor will be returned, or sending a DM to thank you for following (usually through an automated service). Thanks to ignorance, ill advice, or both, these writers treat twitter like a promo machine, gathering as many followers as they can—almost entirely through follow backs. What they don't seem to understand is that only a meager few of the thousands of followers they're accruing are actually going to translate into substantial clicks or sales (if any). Bestselling authors have thousands of followers because they're bestselling authors, not the other way around. Most of the people following them already knew who they were, and were already going to buy their books before they ever hit the follow button. Knowing that a large degree of the people I was connecting with were these selfish plug machines, I realized there was simply no advantage to networking with them, altruistic or otherwise. Not only were these people going to ignore my own tweets, but the worst part is that they were clogging my twitter stream with endless promotion, to the point that it was difficult to see the real people I was following—the people I actually wanted to support and interact with. For a while, I tried to alleviate this problem using the "lists" feature. It helped, but I soon realized I'd picked up the habit skipping my main Twitter feed altogether and going straight to the comparatively tiny list that I'd corralled the real tweeters in. Eventually, I just had to be up front with myself about the fruitlessness of it all. I mean, what was the point? So, last week I did something dramatic. Following some introspection and a blog post from John Scalzi that came at just the right time, I cut a hefty swath through my follow list, unfollowing anyone that tweeted nothing but plugs and links, or anyone that I'd never had any kind of genuine interaction with. As I did so, I watched my own follower count drop, and I was fine with that. It's not a high score or a race to a billion. That big number of mine meant absolutely nothing if most of the people behind it were ignoring me as I ignored them. The downside of this, however, is that there's a big chance that I accidentally unfollowed some people that deserved to be kept, including some of you. If I know you from the blogosphere or elsewhere, and you were a collateral casualty of my unfollow spree, please feel free to let me know so I can correct it. I do want to support the people that I actually have some kind of relationship with. And if you're one of those other people, who tweets nothing but plugs, please consider changing your tactics. Think long and hard about whose books you would buy—a stranger who tweeted an amazon link at you, or someone you've actually come to know, like, and support. For me, it's unquestionably the latter. If you want people to pay attention to your plugs, make them few and far between. Talk to people that you think would be interested in you and your writing; not to give them your sales pitch, but to forge a relationship with them. Make friends, not fans. If you do that, you will find genuine support. People will share and retweet the occasional link because they're actually interested in you, not because they want you to return a blind favor, like robots spinning in circles to change each other's oil. In the meantime, I'm going to put more of an effort into the social networking accounts that I've been neglecting myself. As I look at my Google+ and Facebook pages, I realize that my own streams on those sites look very much like those tweeters I unfollowed. It's not that I post a particularly obscene amount of plugs, it's just that I scarcely post anything else. So I'm going to try to spend more time there when I can, with the hope that I'll spark some conversation and make some friends. I'm going to be honest with you though. Facebook will be tough. I kind of hate that place. Merry Christmas, happy holidays, and to all a good tweet. I think it's awesome that you purged your Twitter feed. I did that too, in fact I do it regularly, and I use lists and searches (for #) to filter out genuine people, conversations and interesting links from the enormous amounts of spam. Allowing spammers around you is only diminishing the enjoyment and use you get out of the social media channels, and it's a pity. It's important for us writers to remember that our desire to connect with fellow writers and interested readers NEED NOT make us needy, clingy and annoying. We want to create and maintain a close circle of friends (just like you said), who will support us and spread the word if they actually like what we have to offer, not a hoard of disinterested, spammy robots who only stick around as long as we regurgitate their trash first. Marketing is horribly misunderstood by inexperienced people. They equate selling with a pushy, obnoxious invasion of private space where someone coerces someone else into acquiring or clicking something just to regain some peace and quiet. Buying / clicking something when coerced and insistently prompted to always results in remorse, disgust and lack of further action. Is this how art is propagated? I highly doubt it. It will never work to push a book to bestseller status, or gain real supporters. This is not how marketing is properly done, but how desperate people try to get attention for a product or themselves, in all areas of the economy, and obviously in the writing industry as well. No reason to apologize for length. That was a fantastic comment, filled with great advice. I agree from top to bottom. I think it's really unfortunate that so many authors are ignorant or ill-informed when it comes to marketing and social media. The spammy trends that are so evident on twitter and elsewhere are damaging not only to these authors and the work they're pushing, but to the entire writing community. They're threatening to saddle writers and authors with a poor reputation in the social media landscape. I hope this is something that can eventually be corrected, particularly in the self-publishing crowd (who don't have agents and publicists to advise them). Thanks so much for the comment, Vero! Good for you to do the purge. I tend to not buy books when authors are overselling. I'm the same way Tonja. A litany of spam is not going to encourage me to buy someone's book. In fact, just the opposite. Thanks for stopping by! Nice post--I agree. even after several yrs on FB My 'friends' number >300, and I periodically unfriend people with whom there is no meaningful exchange; my Twitter followers number under 100, and I am SO okay with that. The standard IMO for social media friending should mirror that of our real world life. Absolutely, Dario. After all, you wouldn't bombard someone in the real world with constant pleads to buy your book (at least not if you expected them to stay friends for long—or to actually buy your book). And you've got the right attitude about followers. I bet those hundred people would be much more likely to support you and your work than the thousands you might have if you were willing to blindly follow anyone at all. This is a great reminder. I agree 100%. I'm not a freakishly active Twitter user, but I do have an automatic feed of my blog. I'm more the Facebook user because of family being spread out all over the east coast. It's how we share updates and pictures with one another. I agree with Veronica, that you would enjoy Facebook once you've established your content and feed. Recently, Twitter had an issue where Direct Messages were being sent out with "Have you seen this photo of you?" with a link. This was spam affecting many Twitter accounts including mine, and even caused some unfollows. 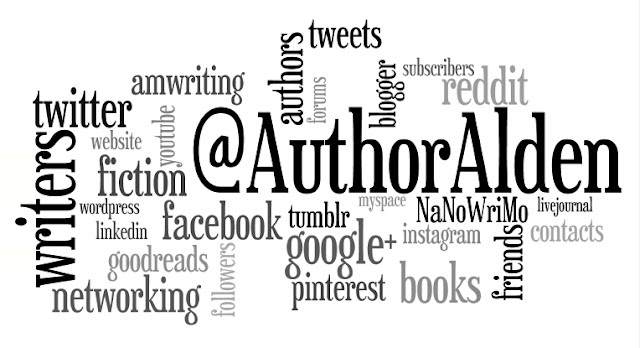 My guess is that Twitter isn't really an effective tool for plugging books and blogs. I don't get much traffic from them anyway. I may consider closing my account. I actually do get a decent amount of traffic from twitter, but I'm pretty active over there (especially after cleaning up my follow list). I'm still considering my options with facebook, but most likely I'll be starting a new profile, since the "pages" are so restrictive. Then, I'll probably get more use and enjoyment out of it. I'm so guilty of neglecting Facebook. I want to do a better job connecting with people. I regularly dump people on Facebook though. The less random people the better. Good points. I admit I don't know how to use Pinterest either. That'll be on the bottom of social media makeover list. Sounds like we're in the same boat! Pinterest baffles me a little, but it has pushed me to make my blog more photo-friendly, which is probably a good thing. I've yet to chart the murky waters over there, though. Thanks for reading, krystal! Hope you had a good Christmas! Such a true post, especially in regards to Twitter. I signed up just a few months ago and don't have many followers. Although I'd love to have more, I don't give in to the need to follow a bunch of others so they'll follow me back. I'd prefer someone to follow me (and I them) when there's a genuine interest. My first unfollow (me unfollowing him) came just a couple weeks ago because my feed was bombarded by an endless stream of self-promotion. It does get old really quick. I'm glad I survived the great purge! Thanks for that! And by the way, the DMs that Diane pointed out are definitely a pain. I got one and when I tried to open the message, I had to log in but my log in information wasn't accepted. A couple days later, my account showed a spam post from me that I didn't actually post. A couple days after that, I got an email from Twitter saying my password had been reset because my account had been jeapordized. So ignore them, delete them, whatever. Just don't open them. Yeah, those fishing scams are growing increasingly common on twitter. You have to watch out for them. I'm suspicious of any DM I get from someone who wouldn't normally send me one, especially if there's a link in it. Good thing Twitter caught yours and was able to keep your account from being hijacked for long! No worries in regards to your survival of the purge! You're well worthy of your spot, haha. Thanks for stopping by!